The Lafayette Home Department Store opened its doors in Paris in the spring of 2004. Galeries Lafayette invited several designers to create feature product lines especially for the store’s opening. 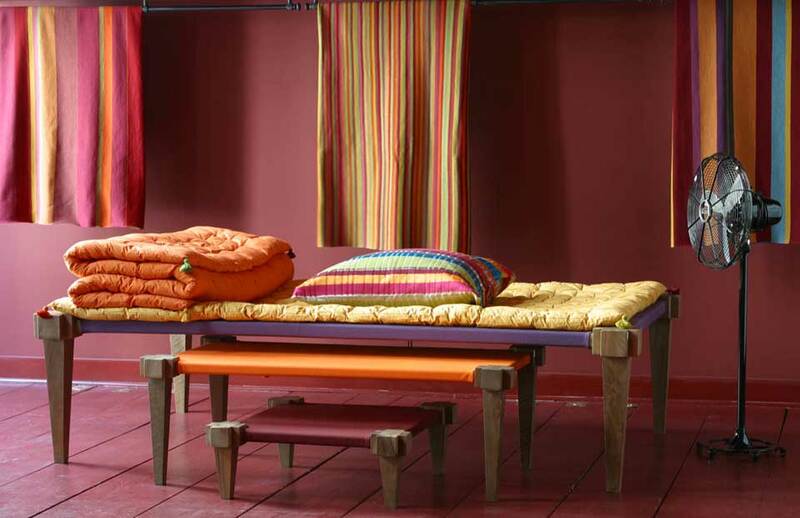 In response to this invitation, I designed this Indian-inspired furniture, with a line of cushions and throws. 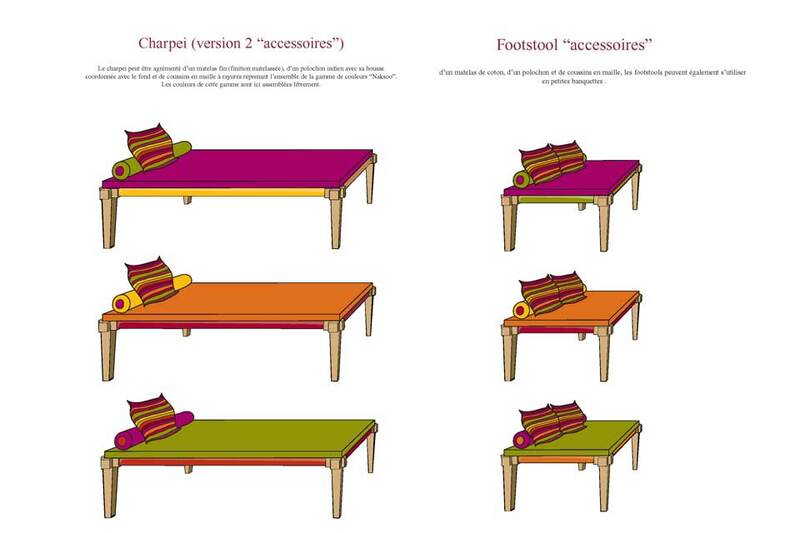 Mobilier et textiles dessinés pour l’inauguration du “department Store Lafayette Maison” en 2004.